What game should I play? Why? Have you ever asked yourself those questions before? I have. Because while I enjoy gambling, I don’t particularly enjoy handing my hard-earned money over to the casino. I want to make them work for it. 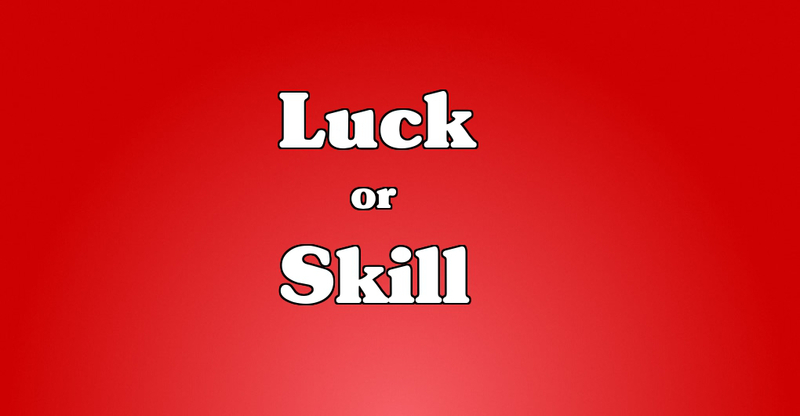 Which is why I prefer skill games over luck. But what about you? What games do you prefer? Do you know? If not, you’re in the right place. This page is going to cover the difference between skill and luck-based games, as well as give you the 30,000 view of the most popular games found in online casinos. By the time we’re done, you should have a pretty good idea of how all the games work, and more importantly, which games you prefer to play. For example, poker, sports betting and blackjack fall into the skill category. That’s because, with deliberate practice, you can become ‘skilled’ at these games. Maybe even to the point to where you can beat the house or other players for a profit. Games of chance are the opposite. There’s very little, if anything you can do to affect the outcome. The house edge will always be against you, no matter what you do. That all being said, hardly anything in life is black or white. The same is true for gambling. While all games predominantly fall into one category or the other, you’ll find there’s no hard and fast rule that applies to everyone and every game. 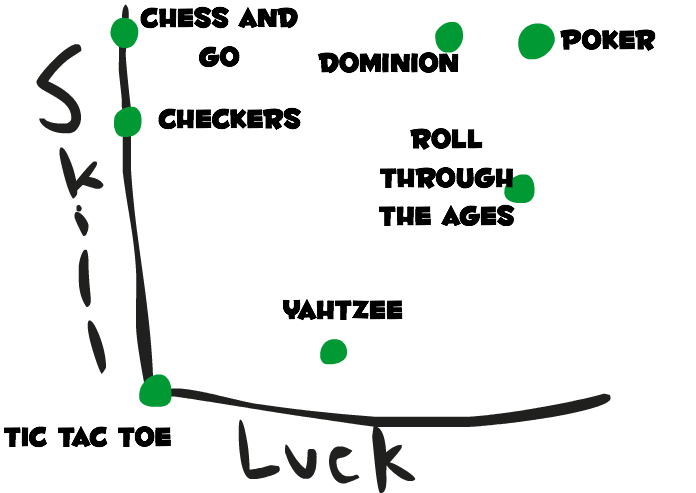 Skill games still have elements of luck (and vice versa). For example, you may control how much you bet, what hands you play, when you bet, etc. But what you don’t control are the cards you get, or who you play against. You don’t control what team wins a match or what numbers are drawn. You can play and still lose money. That goes for video poker, blackjack and sports betting. Because they all require skill, which you need to spend time developing. Not only that, but not all skill games can be beaten for a profit. You’re supposed to lose in the long run playing these games. But tell that to people who’ve won millions of dollars playing Mega Moolah. This means that you’re going to win and lose at any game you play in the short run, no matter what you do, or what the odds say should happen to you in the long run. That’s variance. I point these things out because I don’t want to give you the impression that playing poker or blackjack guarantees you won’t lose money. Because the honest truth is that most people will lose, regardless of the games they play. Which is also why you won’t see me berate or mock other people for the games they choose to play. Since most people will lose money in the long run, it makes more sense to choose a game based on how much fun you think you’ll have playing it. And that’s why you should read the next section. There I’m going to cover the most popular casino options. I’ll give you a brief explanation of how you play these games, whether they’re predominantly skill or luck-based games, and the pros/cons of each one.